﻿ What is called sand making production line? 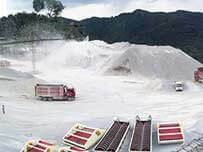 Location: Home » NEWS » What is called sand making production line? 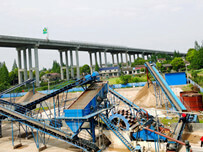 What is called sand making production line? Sand making production line is also called graval production line, it is an exclusive production line device for producing buliding sand and gravel. Gravel production line is defined as feeding type, the produced finished product includes stone material and artificial sand, So it also called gravel production line, whihc equal to the combination of stone material production line with sand-making production line. 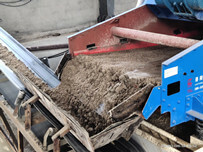 In the raw materials factories such as road and construction, the production line for gravel is often required, which can meet the requirements for simultaneous production of stone material and artificial sand. The sand imaking line s mainly composed of vibration feeder, jaw crusher, counterattack crusher, cone crusher, sand making machine, vibrating screen, conveyor, sand washing machine, dewatering screen, fine sand recycling machine etc. This equipment is widely used, and its performance has reached the international advanced level, which is currently the most effective, practical and reliable pebbles sand making machine. Especially suitable for producing abrasive, fire-proof material, cement, quartz sand, steel grit, furnace ballastless powder, copper ore, gold ore, pebbles, concrete aggregate, asphalt aggregate finely with multiple, hard materials such as crusher. It is a kind of high efficiency, energy saving pebbles sand making equipment. It is 50% more energy saving than traditional sand making machine and is the advanced sand making equipment in the world. Pebbles sand making machine is suitable for the crushing and shaping of soft or medium hardness and extremely hard materials. And it is widely used in various ores, cement, refractory materials, aluminum all-terrain clinker, corundum, glass raw materials, machine building sand, building aggregates, artificial sand and fine crushing and coarse grinding of various metallurgical slags, especially for silicon carbide, corundum, sintered bauxite, high hard, special hard and abrasion resistant materials are more efficient than other types of crushers . In the field of engineering, it is an ideal production equipment for machanical sand-making, cushion material, asphalt concrete and cement concrete aggregate. 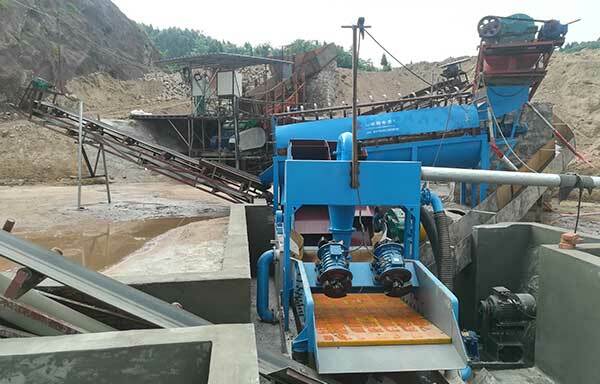 In the field of mining, sand making machines are widely used in the front process of grinding, which can produce a large amount of fine ore and reduce high-cost grinding load. 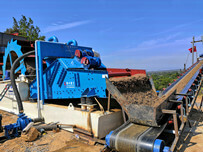 Next：What is spiral sand washing and fines recycling machine?